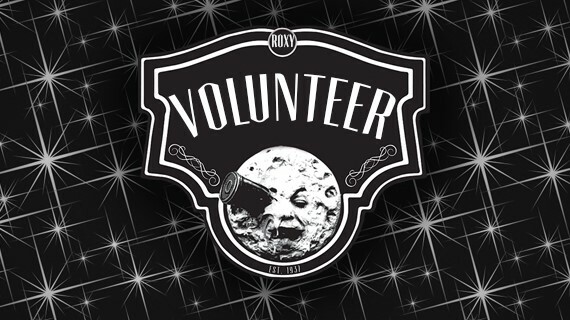 The Roxy - Volunteer at The Roxy! Talented and dedicated volunteers contribute1,000s of hours each year to help fulfill our mission and support community cinema at The Roxy, IWFF and the Montana Film Academy. Roxy Volunteers contribute every day. During the week volunteers assist with filmmaking workshops and classes, office help, graphic design work, outreach, marketing, and more. Nightly volunteers sell tickets at the box office, run our concessions stand and to project movies. It's a lot of fun and a great way to get out, give back and meet great people. Thanks and we'll see you at The Roxy! Looking to help out at The Roxy? Come by Mondays at 4:00pm for Orientation! The Roxy Theater is Missoula's non-profit community cinema. Volunteers help fulfill our mission and support The Roxy and its mission of presenting films, festivals, educational programs, live theater, broadcast programming, and other cutlural events with local nonprofit groups. Our talented and dedicated volunteers contribute thousands of hours each year. Roxy Volunteers contribute every day and are critical to the success of the theater and Missoula’s artistic community. Nightly volunteers sell tickets at the box office, run our concessions stand, and assist with events. During the week volunteers assist with filmmaking workshops and classes, office tasks, graphic design work, outreach, marketing, and more. Sign up to attend orientation and join the Roxy Volunteer Team in the form below. Orientations are held every Monday at 4 PM. Are you a returning volunteer? We look forward to seeing you again! Please sign up using the form above and let us know in the comments field when you can come back. Or give us a call!